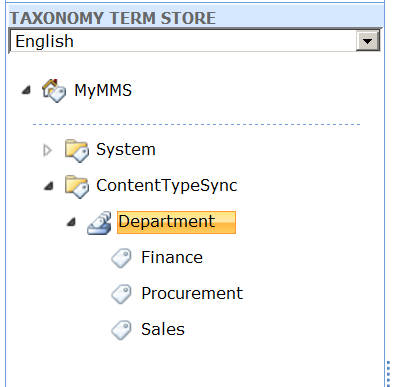 This entry was posted on September 3, 2010 at 12:53	and is filed under SharePoint 2010, Visual Studio 2010. 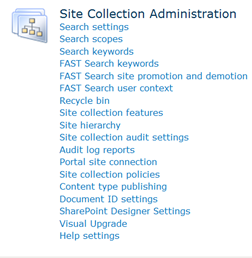 Tagged: Content Type Syndication, Content Types, Managed Metadata Service, Metadata, SharePoint 2010. You can follow any responses to this entry through the RSS 2.0 feed. You can leave a response, or trackback from your own site. Did you already solved the issue to force the syndication/subscription of a content type by code instead of doing it manually? I have not done it through code yet. 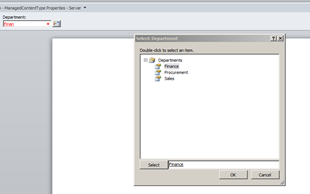 The past time has been very busy for me, so not much time to play around with SP 2010. However, as the timer job is fixed, you could trigger the job to run from code, instead of the UI. Could be worth an investigation. Thanks for the post! I could use some clarification if you have the time. I have a content type in my hub with a workflow attached to it. If I copy the workflow and deploy and activate it to a syndicated site collection *prior* to publishing the content type in the hub, should the syndicated site collection then be able to use the content type and workflow? The syndication works for content types, fields and the workflow associations. It does not work for the workflow itself. So, if the target site collection (not the hub) has the workflow installed and activated (so available), then when the content type with the associated workflow is syndicated, it should work. I created a work flow which is initially associated in the hub with the contenttype. the same i made as an wsp and activated at a subscribing site.I am getting error , do i need to re-associate the workflow with the content type at the subscribed location?how will i do this. As far as I know, no additional association is needed. The workflow just needs to be enabled on the target site. What kind of error do you get? Have you ever seen it where the content type successfully syncs to a site collection, but when you apply that content type to a list, the custom fields are not available? And to provide Texans a means to do their part, the state has offered various renewable enerby incentives which appear in various forms such as property tax rebates or incentives bqsed on performance. Especially, the fee is stored by ions as in a battery. These are known as ppath lights and are very flat, long and narrow. back the desire?.I’m trying to in finding issues to enhance my site!I guess its ok to use some of your ideas!! I do not even know the way I finished up here, however I assumed this post used to be good.